When we think about the future, we tend to think of robots, flying cars, and extremely advanced technology. While we cannot fully predict the future, we can guess what it will be like. This is what Douglas Kiang, a computer science educator in Hawaii and instructor for EdTechTeacher, spoke about during his keynote at the ISTE 2014 conference. Kiang noted that today’s students “are part of the Maker generation, the do-it-yourself (DIY) generation, and this is really driving informal learning.” This “Maker movement” is what drives individualized learning, as it lets students take ownership of what they learn and create something that matters to them. Furthermore, students of the Maker movement use technology to share their accomplishments with their peers and ultimately build a community, and they use the Internet to learn things the way they want to. By incorporating these ideas into more flexible curriculum, students will have a greater purpose to learning, as they will be able to learn on their own time. “We want to allow our kids to explore and to take risks, but you also want to give your kids a map – something that makes them want to do something and not stand in one place,” Kiang said. Besides curriculum, Kiang also predicted the future of classrooms. He noted that it’s important to empower individual students voices, as they will feel valued while also feeling part of something larger; building a sense of community is important to the classroom – it offers shared value, meaningful relationships, and a safe place to learn from failures. Today’s classrooms tend to be isolated – students learn individually rather than as a community – but can become more inclusive by “bringing the outside in.” This “outside” could be content-area experts who work with students or could even be a change in the physical classroom setting. “Our role as teachers is to facilitate student collaboration, to allow them to show us what they’re good at, and to encourage students to bring their skills together to create a community of learning and exploration,” Kiang explained. While it is difficult to say if these ideas will be incorporated into future curriculum and classrooms, doing so would lead to a much more inclusive and productive learning environment for students. Interested in learning more about this topic? Read the original article, ““What will the classroom and curriculum of the future look like?” by Laura DeVaney or visit Douglas Kiang’s website here. Douglas Kiang (@dkiang) is a dynamic speaker, teacher, and workshop presenter with over twenty years of teaching experience in independent schools at every grade level. He currently teaches at Punahou School in Honolulu Hawaii, where he teaches computer science, and heads the Curriculum Resource Teacher group. He also is an instructor for EdTechTeacher, specializing in professional development for technology integration worldwide. He is the author of five bestselling game strategy guides and his latest book on Minecraft in Education is soon to be published by Peachpit Press. Douglas holds a Master’s Degree in Technology, Innovation, and Education from Harvard and is an Apple Distinguished Educator. This entry was posted in curriculum, Douglas Kiang, flipped classroom, ISTE, ISTE 2014 on July 14, 2014 by project_tomorrow. 89% of high school satudents have access to smartphones, while only 50% have access to tablets. Girls play digital games just as much as boys do — and in some cases more. About a quarter of the teachers surveyed this year reported integrating digital games into their instructional plans. 39% of high school students and 48% of middle school students have access to E-Readers. To view more Speak Up 2013 data, check out Report Card: What’s Happening in the World of Education Technology? (EdTech Magazine) and Could games be the key to piquing girls’ interest in STEM? (ISTE), or download the full report from our website. 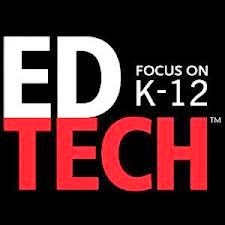 EdTech: Focus on K–12 helps school district technology managers do their jobs better. The publication offers best practices, features, product reviews and case studies from the field that show how technology can be leveraged to improve teaching, learning and administrative services on school campuses of all types and sizes. This entry was posted in congressional briefing, EdTech Magazine, ISTE, news, Speak Up on April 18, 2014 by project_tomorrow.